Figo was one of the latest models from Ford India, The car was launched in 2012 and was continued for 2013, 2014 and finally discontinued in 2015. Figo was silently rolled out in the Indian market. It has witnessed a number of smaller and smarter updates in terms of interiors and exteriors along with retaining its technical specifications. Currently, the company is offering four diesel and petrol variants for the buyers to opt from. One of the striking features of this car is the safety element introduced in it, which prevents the car to get fire explosion on meeting any major accident. Well, your Ford Figo deserves to be secured both internally and externally in terms of both functional and aesthetical features. For aesthetics, you need to add a couple of things including adding the alloy wheels over your tyres. When it comes to buying the alloy wheels, getting them online is a lucrative option. 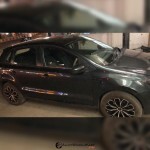 If you choose the shopping portal www.alloywheelskart.com, a slew of options in terms of designs, finishing and colours. The user friendly website designs of this portal simply help you to see on Car these alloy wheels, which gives the right look and feel of these alloy wheels. Here, right from the high quality alloy wheels to a number of designs and colours, you can find a wide range of other choices as well. If you are looking for an alloy wheel for Ford Figo here, you find factory fit alloy wheels of 18 for a factory fit tyre 175/65R14 at 15 upsizing option.